Li Li Xiang Xiao Tou is almost the same tea as Lao Cha Tou except these are smaller nuggets compared to Lao Cha Tou. Hence the name Xiao Toa. 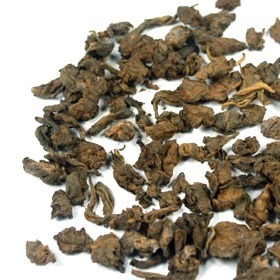 Li Li Xiang Xiao Tou tea leaves yield cups of smooth flavor and thick mouthfeel. Can last for many infusions. good puerh with a classic dark profile but in my opinion less dusty than the most wich makes it a better choice.